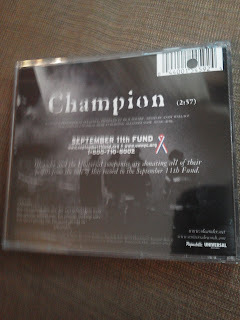 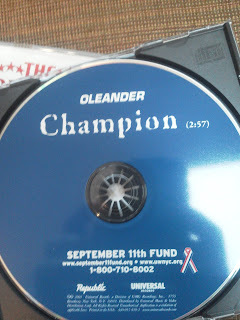 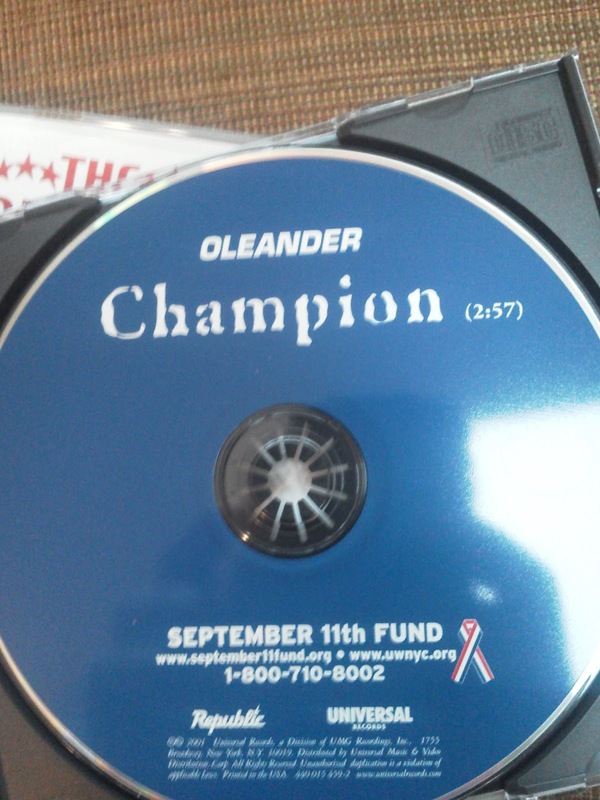 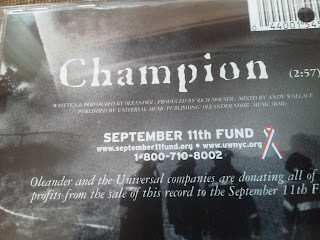 Here is a tribute song, "Champion," from Oleander. 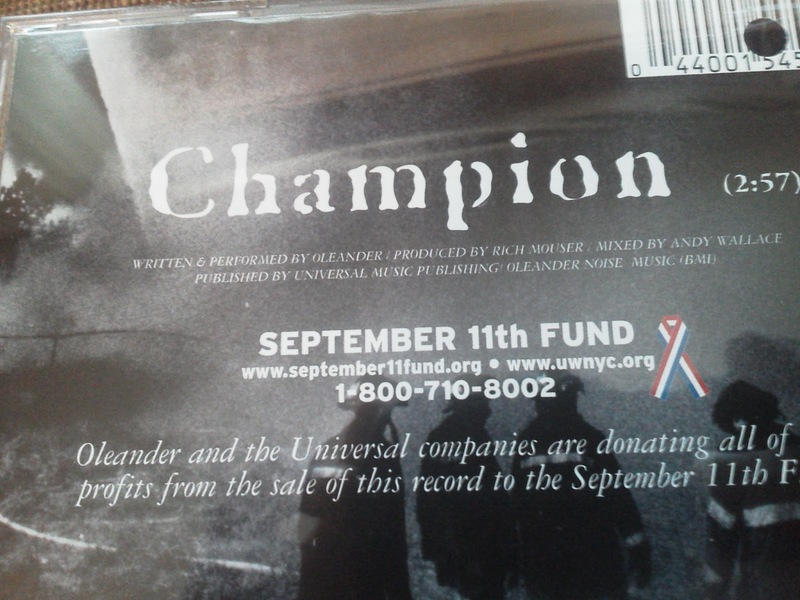 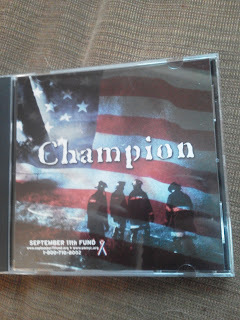 All the profits from the sale of the song were donated to the September 11th Fund, which is printed on the CD and CD case. 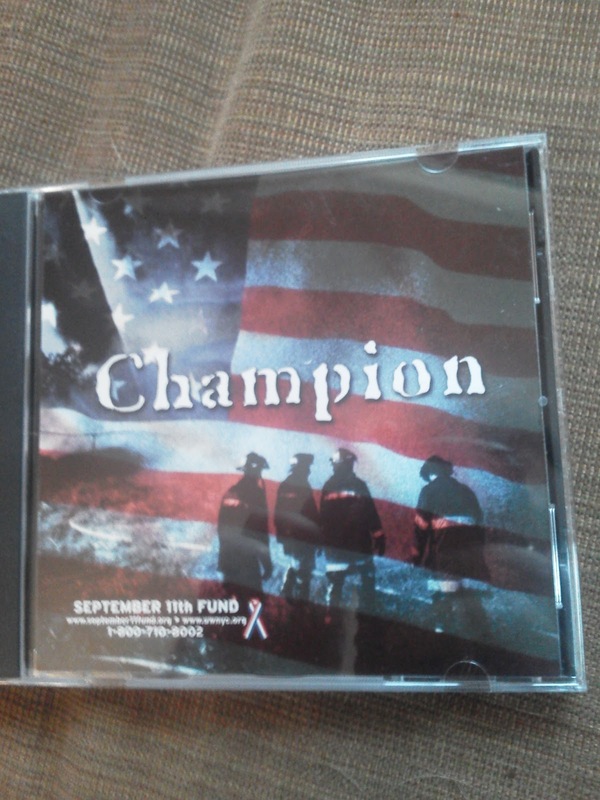 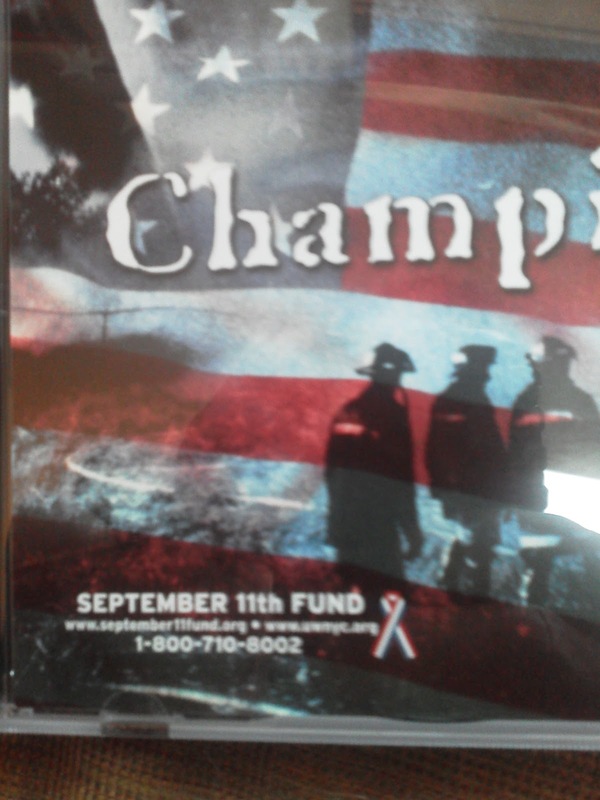 The CD case features the American flag and a group of firefighters.